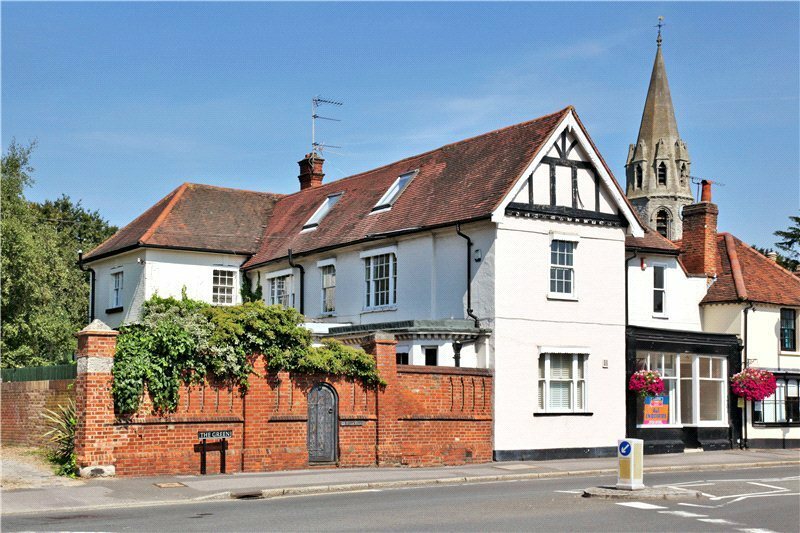 There was never a priory here in Datchet, but there was an enterprising Victorian owner named Mr Prior who caused confusion by renaming the house after himself. In fact, the site is an extremely old and significant one as a house is recorded here in 1376, although nothing visible remains from that date. The connection with the church is complicated but important; this house belonged to the rich and powerful lay rector rather than the vicar who officiated at services. In the early 19th century the Rector was the lawyer John Richards, who was a very significant character in the life of the village. The role and the Rectory property became his through marriage, having been leased from St George’s continuously in his wife’s family from the early 1700s. It is also one of those houses which once bore a legal ‘chancery repair’ liability, but the vicar was advised to end this financial dependence on the house owner at the time the church was being rebuilt in about 1860. The house itself has been rebuilt a good many times, notably in the 1790s, then by Henry Lawrence Prior who was a barrister but also seems to been a building developer, and more recently by Mr Nelson Masters. An original large plot of garden land extending to the north is now subdivided into several separate houses with gardens. One of these has a long history as the Rectory Cottage or Lodge, a single story building with a slate roof, typical of 19th century lodges in and around Datchet. Its little ‘gothic’ windows are very like those found elsewhere in the village, probably the work of a local builder in the early 20th century. In 1350 King Edward III gave the church of Datchet to his newly founded Chapel of St George in Windsor as part of its endowment, along with many other properties and churches across the country. The wealth of the church, which was mainly in tithes from the parish, would from then be received by St George’s Chapel. The Dean and Chapter remained responsible for maintaining the chancel (east end) of the church and providing vestments and service books. When an ecclesiastical or collegiate body such as St George’s ‘appropriated’ the Rectorial rights of a parish it appointed a deputy, called a Vicar, to minister to the people of the parish and usually to live there in a vicarage. Most institutions also leased out the management of the rectorial tithes to a Lay Rector who paid a considerable annual sum for the lease. Datchet’s Rectory House was thus the base from which the Rector collected tithes in rents and produce (or later in money) and expected to make a profitable income. In 1598 Robert Barker, printer to Queen Elizabeth, bought the lease at a huge premium, paying what was still due from the previous lessee. The lease was renewed to him in 1607, and then in 1626 to Tobias Wood his son-in-law. Ownership of the Rectory tithes was a considerable prize and could be inherited through a family or by a will as any other property, each new owner paying St George’s for the privilege. 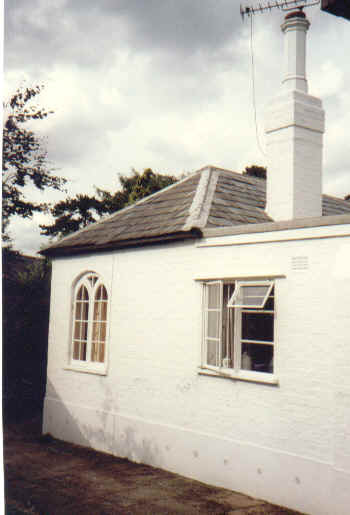 ‘a house newly built within the mansion of the rectory’. ‘Mansion’ here means something like ‘official place’, and it included, ‘a barn, granary, stable, kitchen and brewery, all rebuilt at the Chapel’s expense by John Milcombe, Rector of Datchet’. Food for and hire of 21 carters carrying wood from Thorney (near Iver) and one carrying cement; 2 workers to dig cement and one pulling down the old roof and clearing the place; hire of 2 carpenters and 2 men to saw wood; hire of 5 men to plaster and lath the new walls; hire of one roofer and 2 men to bring straw; straw bought through the steward; nails and spike nails; payment to the smith for 4 buttresses to raise the timber. Clearly this was a timber-framed house with a thatched roof, and the greatest costs were the carpenters’ and sawyers’ work (over £2) and buying straw (£1). The whole cost £11.17.2, but the timber may already have belonged to St George’s because its cost is not accounted for here. The present house almost certainly stands on the same site as the one rebuilt in 1376, which was in existence before 1350. The barn and other farm buildings would have been in the house’s grounds, used to store the tithe produce of the village. Later rectors were rich and powerful men. In 1717 the leaseholder was Christopher Arnold, Citizen of London and goldsmith, a partner with Henry Hoare of a very significant early banking firm. He died in 1758 and his memorial is in the chancel of the church. Through the Arnold’s daughter, the Rectory came into the hands of Mr Russell in 1787, who died insolvent having spent £1200 on rebuilding the house, an enormous sum for the time. It is likely that the house took its present shape at that point, but at least two owners have rebuilt or re-modelled it since then. John Richards married the Russells’ daughter and became the last Rector to occupy the house before Datchet’s tithes were finally done away with by the Enclosure Act of 1810, although his heirs the Steward family owned it into the 1850s. Their memorial in the church records the death of John Richards and his wife Eleanor, daughter of James Russell; he in 1844 aged 81 and she in 1848 aged 69. 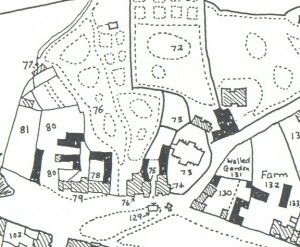 The central section of the 1839 rate map shows the Rectory House and its extensive plot with garden beds and features detailed. It also shows how the early medieval settlement of the village focused around the high ground of the church:all the buildings and plots to the east, west and north of the church and the Rectory being traceable to medieval origins. 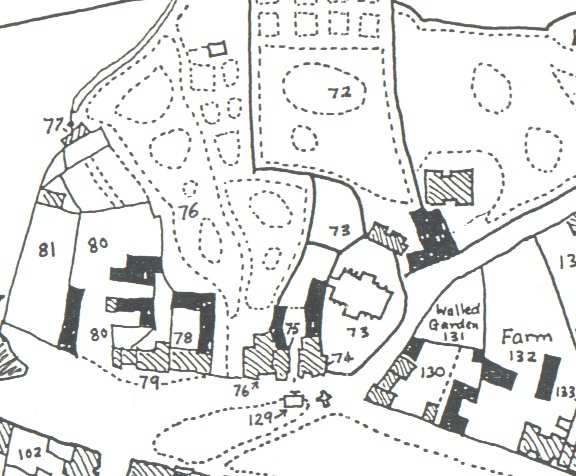 Key to map numbers: Plot 76 Rectory House & garden; Plot 74 The Royal Stag; Plot 75 The Bridge Parish Centre; Plot 77 Rectory Cottage; Plot 72 Vicarage and its garden.